On arriving in SF I caught a flight to SoCal. Could not return to Davis before visiting my granddaughters in Los Angeles. 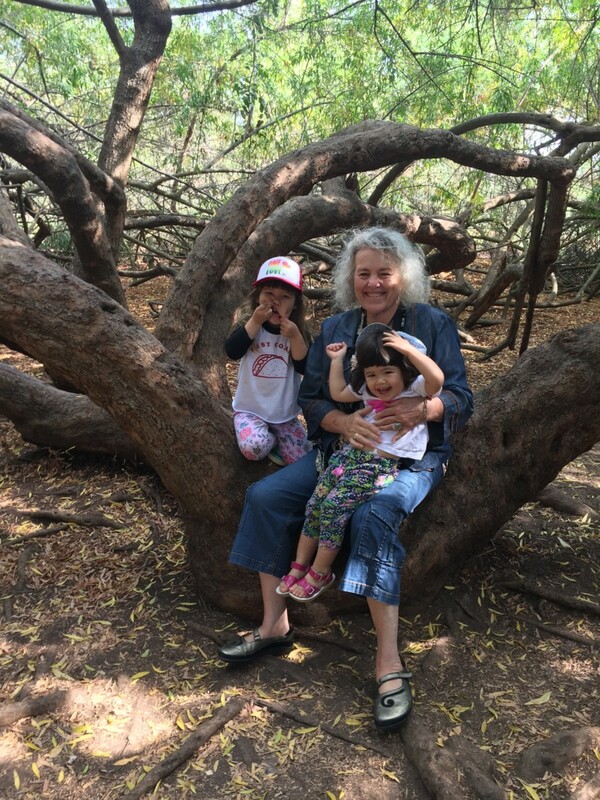 While I was with them we made a trip to the Los Angeles Botanical Gardens as well as to Tenaka Farms in Irvine. 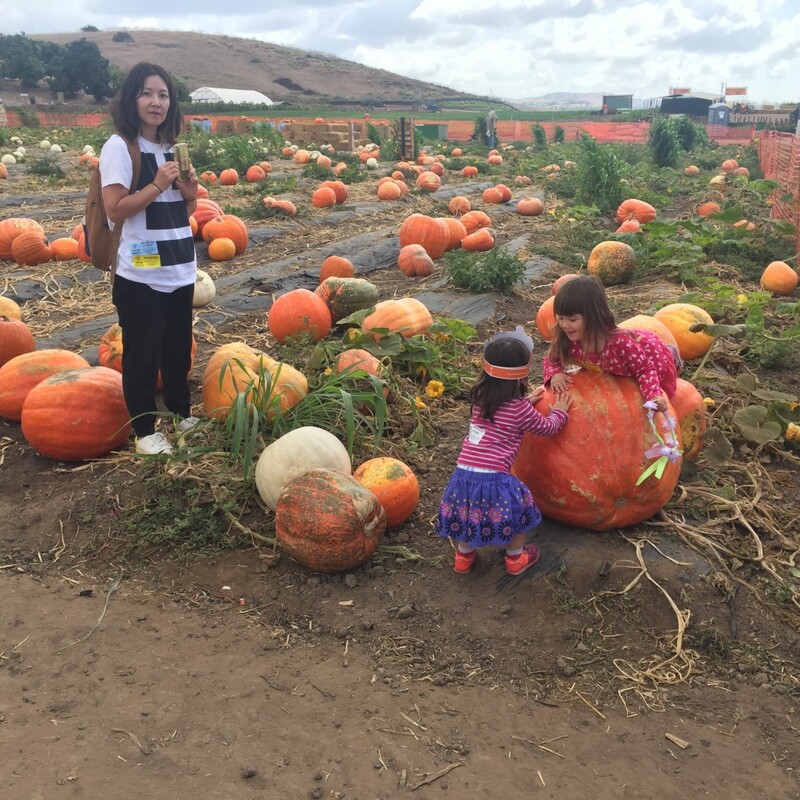 The latter has one of the best pumpkin patches I have ever seen. There’s still plenty of time to visit before Halloween. I suggest avoiding weekends. Our visit also included a wagon tour around the thirty-acre farm, a visit to the petting zoo where we were met by a herd of goats, sheep and an elegant llama. A stroll through the farm’s market revealed a bevy of beautiful produce at reasonable prices. 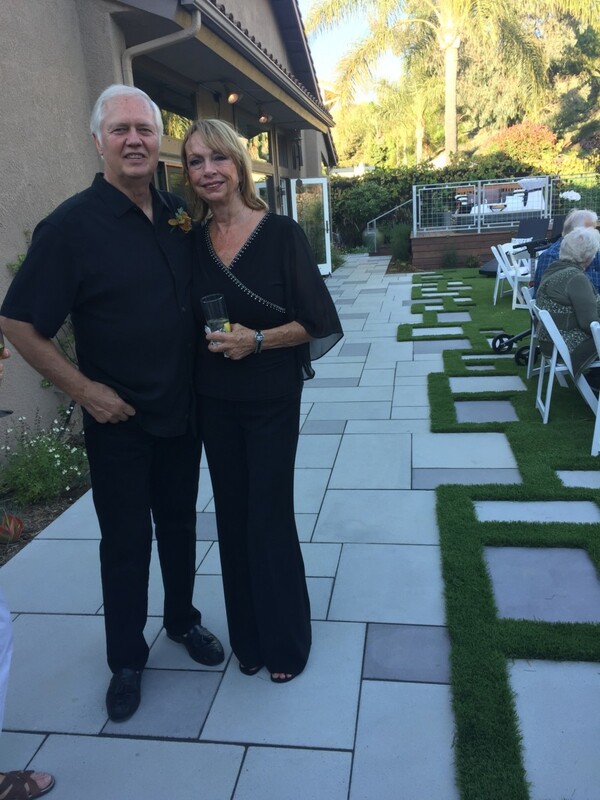 While I was in the southland I had the joy of attending my friend Nancy Wilhelm’s (now Nancy Casey) wedding reception in San Juan Capistrano. Many of you will remember eating at her highly acclaimed restaurant (now closed) Tabu Grill one of the finest Laguna Beach has ever had. Nancy moved to Sedona, Arizona after closing the restaurant, met Dale and the rest is history. I wish the two of them a long, happy ever after, together! 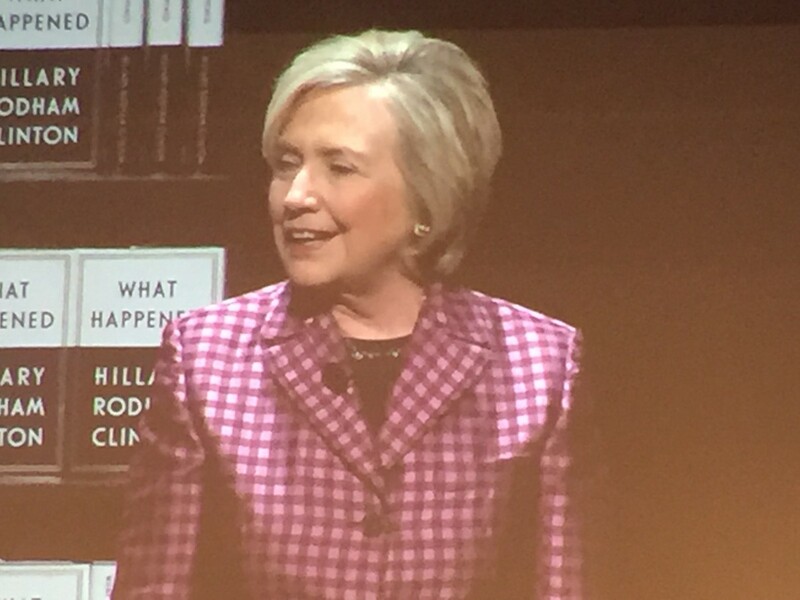 My stay in SoCal had to be cut short as my partner and I were among the lucky ones to obtain tickets to Hillary Clinton’s talk in the Mondavi Center at UCDavis. It was the only California site on Hillary’s book (What Happened) tour. She was in top form: gracious, articulate, knowledgeable, brilliant, humorous and to the point. Many people left the center in tears. “We must get more women in politics,” was a closing statement. And that brings me to Delaine Easton. Many people have yet to learn that Delaine the former California Superintendent of Education has decided to run for governor. She made her announcement last fall right here in Davis where she lives. 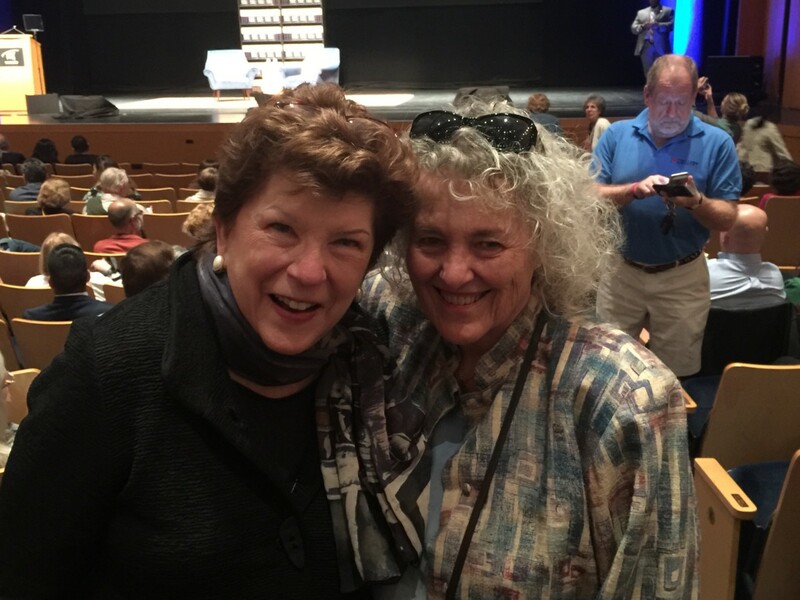 We ran into each other at Hillary’s talk and she assured me things are going very well on the campaign trail. Check out her website. It’s comforting to be back in Davis. I’ve had a chance to dine at two of my favorite Sacramento restaurants, Magpie Cafe and Mulvaney’s. Magpie’s new fennel and celery root slaw was enough to send me back into the kitchen (there’s a lot of fennel in my garden waiting to move into a dish). Now, taking some time off to catch up on work at home and write about the trip to China.